(AFP) - Russian Foreign Minister Sergei Lavrov has said the international standoff over Iran's nuclear programme can still be resolved through negotiations. "There are still opportunities for a resolution and we should use them actively at the meeting in London today," Lavrov said Friday ahead of a meeting of foreign ministers of the five permanent members of the UN Security Council plus Germany, reports Trend. 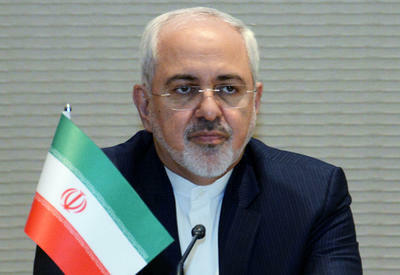 "All the measures that could be considered should be aimed exclusively at pushing Iran back to the negotiating table. That is the only way," Lavrov told journalists. "The main thing is to look at the facts and to judge the real situation soberly and without emotion, and to work out whether there is a threat to the nuclear weapons non-proliferation regime. "We are in permanent contact with the International Atomic Energy Agency, which has a professional knowledge of the situation, and we will use their understanding in our work." Lavrov again took aim at a US decision to impose sanctions on countries that collaborate with Iran's nuclear power project or sell hi-tech weapons to Tehran. "I note with regret that the unilateral sanctions against Iran introduced a few days ago by the United States substantially go beyond agreements" concluded by the six powers due to meet in London, Lavrov said. Although it does not name any countries, the new US measure is seen as a clear warning to Russia and China, two permanent members of the UN Security Council that have resisted calls for new international sanctions against Tehran in response to its refusal to halt uranium enrichment. Russia has close economic ties to Iran and is building the country's first nuclear power station at Bushehr, a project that Washington has said should be halted.